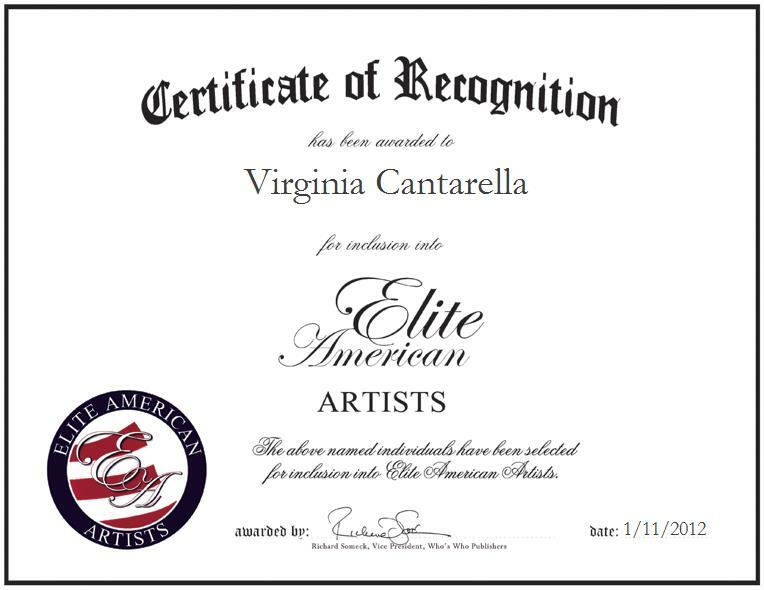 GREENVILLE, NY, January 11, 2012, Virginia Cantarella, Medical Illustrator and Painter, has been recognized by Elite American Artists for dedication, achievements, and leadership in illustration. Ms. Cantarella is a freelance medical illustrator with a wealth of knowledge, and experience in the medical field and the creative arts. She initially began creating drawings and illustrations related to ophthalmology because she needed a freelance job. The full-time mother enjoys spend time with her children and family, and when visiting ophthalmologist due to an eye injury, the doctor asked her to create some illustrations—this experience spawned a lasting pursuit. She has found success in her endeavors as a freelance artist and creator of medical illustrations, as she is a pioneer in her field, and one of the first to earn a living by producing art pieces that relate to ophthalmology. Ms. Cantarella has worked for some of the nation’s most prominent ophthalmologists, illustrating the books that introduced micro surgery. She earned a Certification of Fine Art from the School of the Museum of Fine Arts, Boston. Over the course of 26 years, Ms. Cantarella has been able to achieve her goals due to her ability to refine her talents, and sheer timeliness. She avidly enjoys building on an ever-expansive artistic skill set; in addition to her love for painting and drawing, Ms. Cantarella enjoys knitting and sewing.